Requirements: Compatible with iPhone 3GS, iPhone 4, iPhone 4S, iPod touch (3rd generation), iPod touch (4th generation) and iPad.Requires iOS 4.2.5 or later. The latest version of Adobe Reader allow users to mark up PDF content with sticky notes, the freehand drawing tool or the highlight, strikethrough, and underline tools. 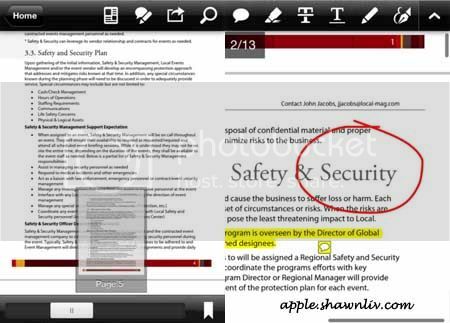 Beside, reader can add comments anywhere in their PDF file with sticky notes. Now, user can fill out the PDF forms. Moreover, they can use the new Ink Signature tool to sign any PDF document using their finger. On the other hand, users can send PDF files to others for electronic signing using Adobe EchoSign. Lastly, the Performance and Memory fixes for new iPad. How to scan document into PDF with iPhone? Get a FREE 50 GB lifetime account now !